Your sales agents and marketers seem to speak a very different language? Do you think this problem is affecting your business growth negatively? It's time to stop and start acting in a more effective way. 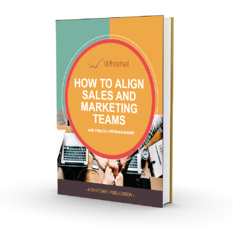 Dan Tyre, Sales Director for HubSpot, provides essential tips for align the job of marketing and sales departments, showing how the Inbound revolution has changed the way to sell. Furthermore, in this eBook Dan Tyre gives away some secrets to become the sales rep and the marketer of the future. Because the future of marketing is today and you should improve your strategies right now. JUST START A CHAT WITH US TO GET YOUR FREE EBOOK!